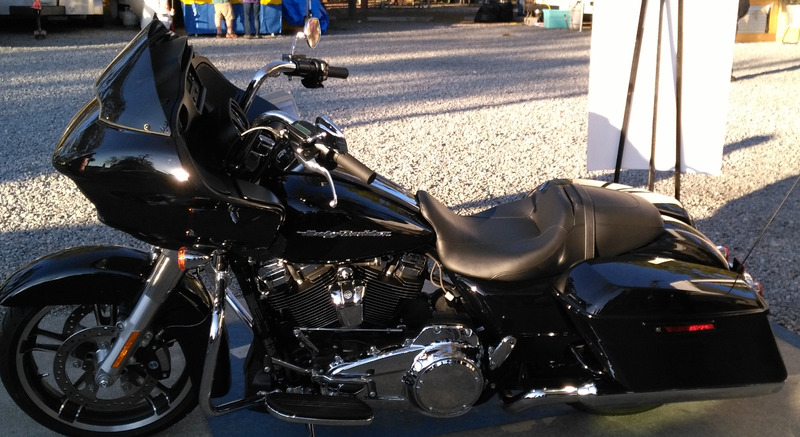 Kings Bay Rotary announces Harley Davidson Road Glide Winner! Kings Bay Rotary Charitable Foundation held the drawing for a 2018 Harley-Davidson Road Glide on April 28, 2018 at Crystal River Harley-Davidson. The bike was donated by CRYSTAL AUTOMOTIVE/MOTORCYCLE GROUP. The winning ticket was pulled from the rotating bin by Justin Lamb. Congratulations go to the winner, Naomi Prendergast. Naomi purchased the winning ticket (one of three) at the 2017 Stone Crab Jam. Naomi said, “never thought we could win, purchasing the tickets was a donation to the Rotary for charities they support.” Naomi also commented, “Thanks Kings Bay Rotary Club for all you do for our community and making this a once-in-a-lifetime win possible”. The drawing raised over $28,000 with proceeds going back into the community to support charitable causes. Appreciation and thanks are due to CRYSTAL AUTOMOTIVE/MOTORCYCLE GROUP for their kind donation and support. Thanks also to High Octane Saloon (Crystal River) and Sleepy Hollow Restaurant and Bar (Floral City) for letting the Rotary team set-up at their locations. 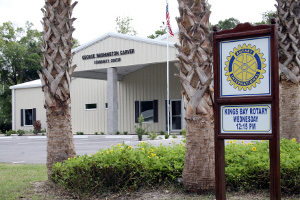 Kings Bay Rotary-Crystal River club donates thousands of dollars every year to more than 40 local charities, scholarships, exchange students, national and local projects. The club is able to make these contributions from funds raised at the annual Stone Crab Jam, drawings and events by club members putting Service above Self”.